Get heavy, get the sound like Mick Thomson requested, with the the AHB-3 Mick Thomson Blackouts Set from legendary manufacturer, Seymour Duncan. This set includes mounting hardware. The AHB-3 Mick Thomson Blackouts Set consists of 9-volt active humbuckers, designed aggressive playing styles. This pickup is recommended for all metal and heavy rock styles and also extreme low tunings. If you're looking to get the tone that Mick Thomson (Slipknot) asked from Seymour Duncan, the AHB-3 Mick Thomson Blackouts Set provides even tighter bottom, and more searing top end cut, making a great pickup for heavy music. The AHB-3 Mick Thomson Blackouts Set includes all necessary mounting hardware, including pots, jack, and a battery clip. 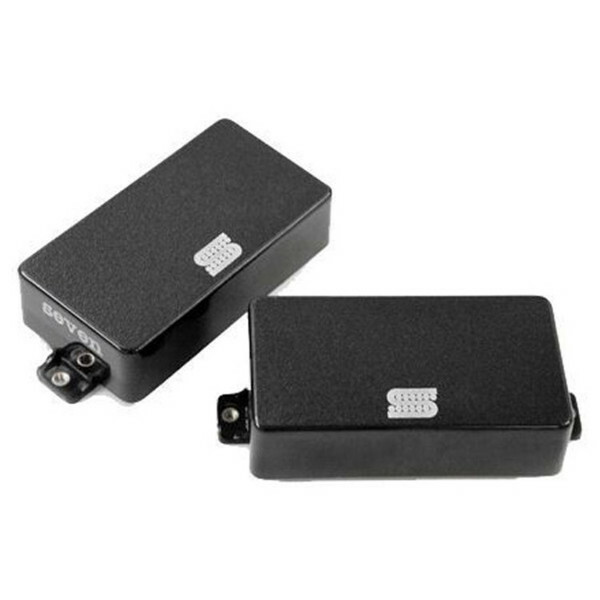 These pickups are designed for all humbucker guitars. The pickup's blade magnets make this pickup suitable for both humbucker and Trembucker spacings.